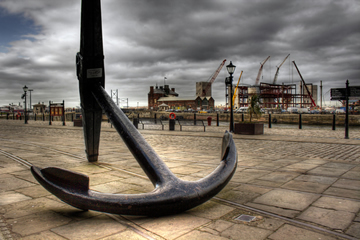 Anchor Dream Interpretation - What Do Dreams About Anchors Mean? Psychological meaning: You may be looking for greater security as an anchor represents a stabilising force. It may also symbolise an influence in your life that brings greater steadfastness and strength. For a career person it can show a desire to be the ‘anchor man’ (or woman). Mystical meaning: An old superstition states that if a girl dreams of an anchor one of her children will choose a life as a sailor. It is also favourable for a sailor to dream of an anchor. For the rest of us, it means a change of residence or foreign travel. Generally it is considered a good omen but if the anchor is in the water or partly hidden in any way then expect disappointment. Please post your dreams and comments below.Only dreams that are on this topic about will be included for example, going to sea, anchors, hooks, tying up a ship and so on. To add a post please first look up the closest topic. The anchor I saw in my dream was suspended by cables in the sky. I don’t know where the cables originated from, they extended from infinity.The huge anchor appeared instantly in the sky and a large passenger plane with big windows was flying in the air space. The passengers were mostly women and they saw the anchor and were terrified and were screaming. The plane had to maneuver quickly and narrowly missed hitting it. The passengers were tossed around like clothes in a dryer and there were many painful injuries. Next: What do Dreams About Angels Mean?